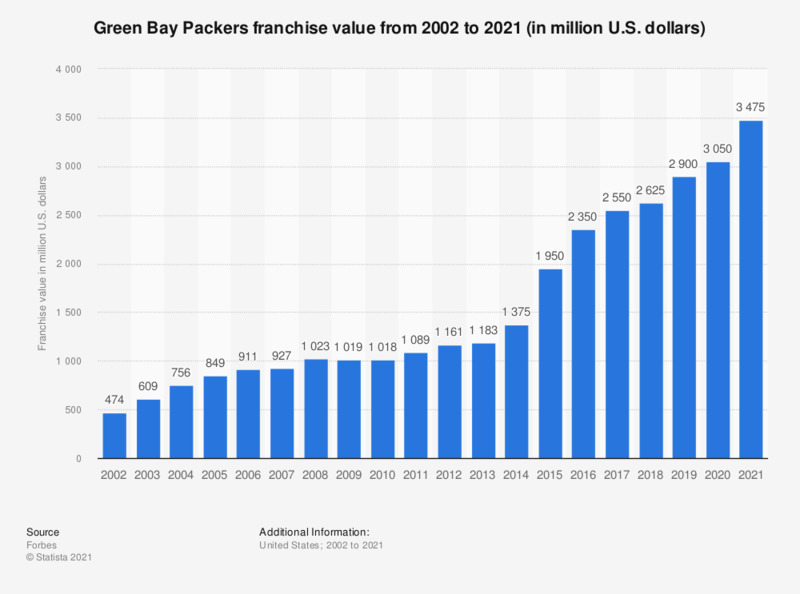 This graph depicts the franchise value of the Green Bay Packers from the National Football League from 2002 to 2018. In 2018, the franchise value came to about 2.63 billion U.S. dollars. The Green Bay Packers are the only community-owned franchise in American professional sports major leagues.